The three-year vaccine is guaranteed effective for three years by vaccine manufacturers, approved by the US Department of Agriculture and is the standard in most areas. A 1992 French study showed five year immunity. Habit, financial interest in the status quo, ignorance about the duration of immunity and lack of public outrage have kept rabies vaccine laws from changing. Tell us your dog's rabies vaccine story. Please leave a comment on our blog. Scroll to the bottom of the page and write a comment in the box then click Submit Comment. For legal reasons, please do not slander anyone. Just tell about the situation, not the particulars. Donate to Rabies Vaccine StudyThis connects you to the donation page at RabiesChallengeFund.org. How Often Does He REALLY Need a Rabies Shot? from Animal Wellness Magazine. 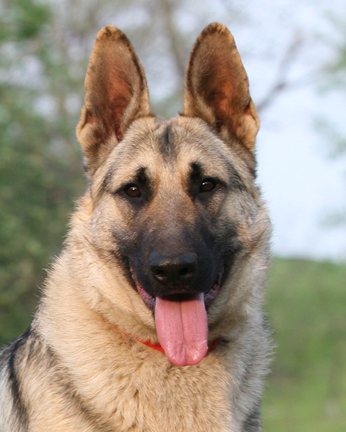 Rin Tin Tin, star of movies and TV, endorses the Rabies Challenge Fund! Do you trust that your vet will give you all the information you need to know? Watch this video. What are the rabies laws in your state or locality? Check to see if your state offers medical exemptions to the rabies vaccine for health compromised animals. Important: Make sure your vet records the reaction in detail in your dog's file and get a copy of the file. Put it in a safe place. When the rabies shot is due again, ask your vet to apply for an exemption. And read our page on vaccinating before you give another shot of any kind. What are the rabies laws in your state or locality? Also check to see if your state offers medical exemptions to the rabies vaccine for health compromised animals. Our 2 hour DVD of world-renowned pet vaccination scientist Dr. Jean Dodds' presentation from our Safer Pet Vaccination & Health Care Seminar benefiting the Rabies Challenge Fund is finally available. (Learn more about the Fund below.) We also have additional Program Guides featuring articles by Drs. Jean Dodds and Ron Schultz. Proceeds benefit the study of the rabies vaccine. Click here to learn more or purchase the DVD now. Have a question about the rabies vaccine or vaccination? Your questions will likely be answered on this page. If you still have a question, or wish to comment or post a story, scroll to the bottom of The Rabies Vaccine and Your Dog We will post our answer there and it will also be e-mailed to you. (Comments are monitored. No commercial entries or slurs on veterinarians by name please.) Posted questions are answered before e-mailed questions. How long does a rabies shot last? How often do I have to get the shot? The three-year vaccine is guaranteed by the manufacturer for 3 years, but the one year vaccine, which is usually just given as the first vaccine a puppy gets, is guaranteed for only one year -- although the vaccines are identical! Immunity: If your dog has had 2 shots (a shot at about 4 months and another a year later), which he/she probably has if your dog got puppy shots, your dog should have immunity for 5-7 years or longer -- according to experts -- although not according to the law. The Rabies Challenge Fund is working to prove to the USDA that the shot gives 5 years, then 7 years, of immunity. This video is at also available at http://www.youtube.com/watch?v=-pQHQw-5XCw Click the link and you can post a comment. You can also get a code there to embed the video on your website. Behavior problems: aggression, destructive behaviors, separation anxiety and odd obsessive behaviors (like tail chasing and paw licking). Dr. Michael Dym (Peaches' vet, see below) says chronic symptoms of a reaction to the rabies vaccine sometimes mimic noninfectious symptoms of rabies and "include restlessness; viciousness; avoidance of company; unusual affection; desire to travel; inability to be restrained; self biting; strange cries and howls; inability to swallow resulting in gagging while eating/drinking; staring eyes; swallowing wood, stones, inedibles; destruction of blankets, clothing; convulsive seizures; throat spasms; increased sexual desires; disturbed heart function; excited and jerky breathing. Read his entire article on rabies vaccinosis. Your veterinarian has a legal and ethical obligation to fully inform you about the risks and benefits of any vaccination. Read what an attorney and veterinarian has to say about a vet's obligation of Informed Consent. Report any reactions you believe might be linked to the shot to your vet immediately. Get the lot number of the vaccine used, brand name, date given and location of the shot on the dog's body and report the reaction and diagnosis to the vaccine manufacturer. The manufacturer will sometimes pay for treatment. 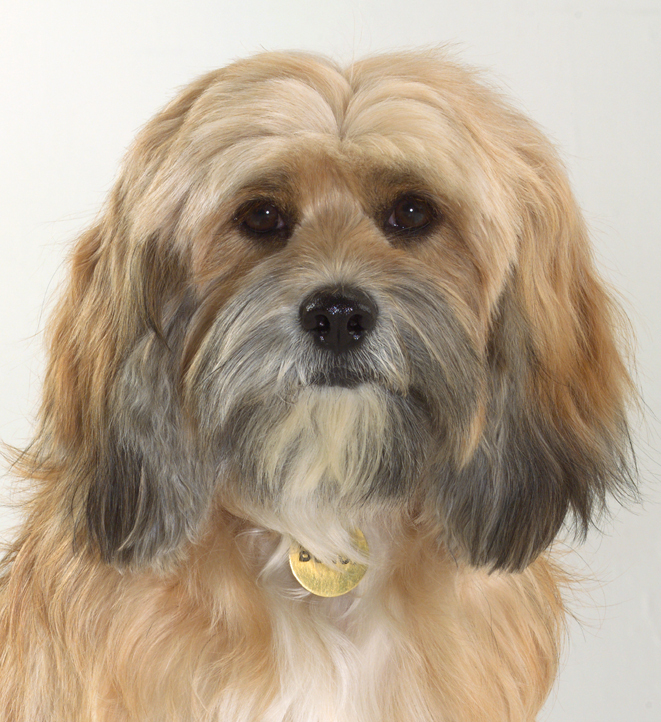 Have your vet document every step of the dog's treatment and detail the reactions. And have your vet sign his/her notes and get a copy. This is very important! You will need the documentation to apply for an exemption when the shot is due again. Vaccinating a puppy or kitten? See Dr. Dodds' 2010 Canine Vaccination Protocol and 2010 Feline Vaccination Protocol from world-renowned pet vaccination expert W. Jean Dodds, DVM. Few of us are warned about these possible adverse effects, and even when our dog develops them, we are not made aware of the connection. The vet may not even recognize unexpected or rare reactions. Adverse reactions are seldom reported; all reporting is voluntary. A federal reporting system for all veterinary vaccines is needed. Read more about rabies shot reactions from the Journal of the American Veterinary Medical Association. Small dog alert! Melissa Kennedy, DVM, PhD, DACVIM wrote in DVM360 on-line magazine: "The likelihood of adverse reactions in dogs has been found to correlate with the size of the dog and the number of inoculations given, with higher risk associated with small size and multiple inoculations." This means: no combo shots for small dogs. In fact, NEVER GIVE ANY OTHER SHOT WITH A RABIES SHOT. Wait at least three or four weeks between the rabies shot and other shots. Read my article Vaccinating Small Dogs: Risks Vets Aren’t Revealing, my article based on a mind-blowing study published in the Journal of the American Veterinary Medical Association. Other articles of interest: Treating Adverse Vaccine Reactions by renowned expert Dr. Jean Dodd and The Science of Vaccine Damage by Catherine O'Driscoll, both reproduced by permission of the authors. Read the stories of dog guardians whose animals have experienced damage from the rabies vaccine. They are posted as comments on my Truth4Dogs blog post on the rabies vaccine. Scroll down to the article's end and read comments, replies by me and several vets, and post your own story. Wish you had a crash course in everything you need to know to vaccinate your dog safely? I'm working with a veterinarian to create the most complete primer ever. The information will be low cost and at least half the proceeds will go to support a study lengthen the time between rabies shots. Sign up below and we'll send you complete details when our Vaccine Project is complete. We will not share your e-mail address with anyone. On-line reporting form: https://web01.aphis.usda.gov/CVB/adverseeventreport.nsf/Adverse%20Event%20Report%20Form?OpenForm You'll need to get a lot of the information from your vet. Do not expect your vet to make the report. Underreporting is commonplace. The FDA admits that vaccines are not tested for safety except by vaccine manufacturing companies. Reporting agencies report that vets do not reliably report adverse reactions. (The FDA's estimate for all medical communities is 1%.) The FDA relies on the public to report problems once the drug or biologic is released into the public. 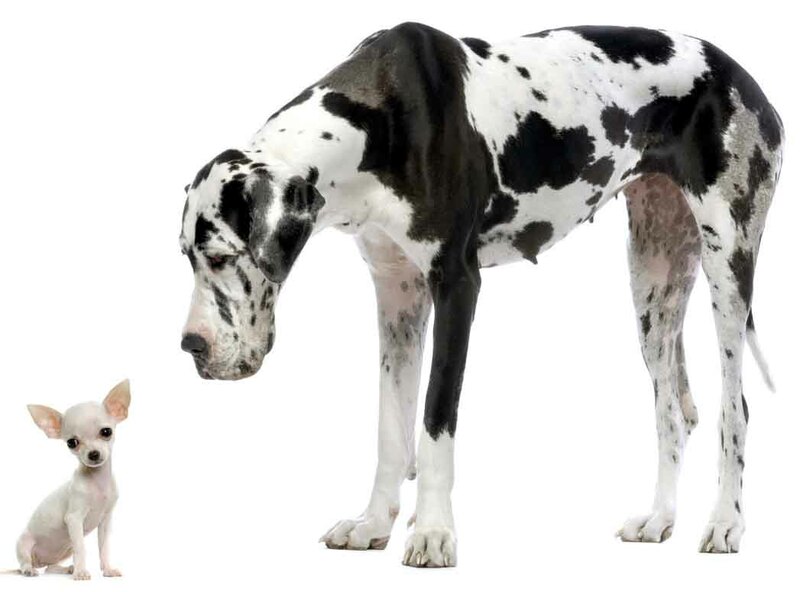 Did you know that a Chihuahua and a Great Dane get the same dose shot? This puts the small dog at a greater risk of adverse reactions. You can legally do nothing about this. Do you live in a state requiring yearly vaccination? With USDA approval, some three-year rabies vaccines are relabeled as one year products. Your pets are being over-vaccinated by receiving a full three-year dose every year. 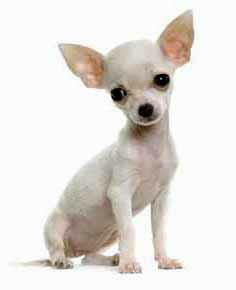 Read my article Is Your Dog’s Vet a Vaccination Expert? to determine if your vet vaccinates safely. Also read Protecting Dogs from Vaccine Reactions These articles could truly save your dog's life. Thimersol (mercury) in vaccines has been linked to adverse reactions. Look for the TF on the label. Want to avoid thimersol? Merial now makes a one- and three-year thimersol-free rabies vaccine: IMRAB® 1 TF and IMRAB® 3 TF. Make sure you see the "TF" in the brand name. **** If your dog is chronically ill or immune compromised, he or she may be able to receive an exemption to rabies vaccination. You will likely still have to pay license fees, but your dog may avoid the shot either for the licensing period or the life of the dog, depending on the situation. Your veterinarian will have to apply for exemption giving reasons and providing documentation. Some vets don't like doing this, I'm told, but if at first you don't succeed... Note: some locales do not allow exemptions. Read what some activists are doing. See the section "Exciting News" below.) For more information, check out Aimee's Medical Exemption Blog. If your dog is due for a rabies shot, consult a vet trained in homeopathy if possible. A homeopathic remedy given with the shot, or even afterwards, may reduce or even eliminate the chance of ill effects. Find a holistic vet or check for vets trained in homeopathy by Dr. Richard Pitcairn. Do not give a rabies shot within 2 weeks of other shots -- at least. Remain in the area for at least 30 minutes after your dog gets a rabies shot so that you can get medical help immediately in case of a reaction. Do not give heartworm or flea meds, and do not worm, without proof of need and never within two weeks of any vaccination. If you suspect your dog is suffering a non-emergency adverse reaction from a rabies vaccine, I recommend consulting a holistic vet. Among other things, they may recommend a homeopathic remedy to help clear the vaccine from your dog's system. If you continue to treat your dog's symptoms without treating the cause, you'll likely be treating increasingly bad symptoms for the rest of your dog's life. Know that repeated vaccination does not make an immune dog MORE immune. Renowned vaccination expert Dr. Jean Dodds compares immunity to pregnancy: you’re either immune or you’re not. Furthermore, if you're immune to a virus, you're also immune to the virus in the vaccine! Have your vet document all reactions to all vaccines in case you ever need to apply for an exemption in the future. Make sure reactions are recorded in the dog's file, make sure your vet signs the entry and GET A COPY. Don't be embarrassed to ask. This is important. You need to protect your dog. If your dog is at high risk for rabies, know that the only way to guarantee a dog's immunity is to have his or her rabies vaccine antibody titers tested. Your veterinarian can perform this simple (not cheap) blood test. An animal may be repeatedly vaccinated and yet never develop immunity if his/her immune system is malfunctioning. Your kennel, groomer or doggy day care facility may require proof of rabies, but more and more establishments will accept titer testing. If they require vaccination more frequently than the law requires, endeavor to educate them or find another establishment. Their ignorance is a threat to your dog's health. Note: The "one-year" shot is no safer than the "three-year" shot. In fact, as it has to given much more often, it is more likely to damage health. Worse yet, experts say that the "one-year" shot is often a "three-year" shot that has merely been relabeled. Don't give a rabies shot yourself. Although you can legally buy the vaccine and give the shot yourself, you'll likely have to have a licensed veterinarian give it again because most states will not recognize your vaccination as valid as they can't prove it happened. Also, you will not be equipped to handle a medical emergency should your dog experience an adverse reaction to the vaccine. Watch the vet give the shot. Do not allow them to take the dog into a back room. You need to see where the shot was injected. Was it subcutaneous? That is, injected just under the loose skin between the shoulder blades? Or was it intramuscular? That is, injected directly into the muscle (usually the big muscles of a dog's thigh)? Was it the right leg or left leg? Exactly where? If a lump forms, and especially if it develops into a tumor, you'll want to see if it's at the injection site. Also, ask the vet to note the injection site in your dog's file. Watch him/her record it. If you notice a lump where your dog was vaccinated, write down its exact location and palpate (feel) it often to make sure that the lump isn't growing. If it grows, or doesn't disappear, contact your vet. I asked vaccination expert Dr. Jean Dodds on what part of the dog she, as a rabies vaccine expert, prefers the shot to be given. She wrote: "There's no standard, but most of us prefer the hind leg muscle mass in the gluteal area." Dr. Jean Hofve, DVM and former Editor-in-Chief of The American Holistic Veterinary Medical Association Journal, writes: "Ideally, for cats the Merial Purevax recombinant vaccine can be used in place of the older killed vaccines that can cause injection-site tumors." She adds: "When vaccines were given between the shoulder blades, these cancers were inoperable because they would grow into the spine, ribcage, and chest. This became such a serious problem that now it is recommended to give the rabies vaccine in the right hind leg so that when a tumor does develop, the whole leg can be amputated and thus the cat's life can be saved." Airlines flying within the Continental U.S. may or may not require proof of rabies vaccination. Check the website of the airline in question. Flying internationally is more complicated and may require antibody titer testing, a vaccination linked to a microchip or tattoo, and/or vaccination within a certain period. PetTravel.com is a good place to go for details. You must plan ahead. Do not vaccinate immediately before travel. Your dog may experience a life-threatening adverse reaction and may die because you're unable to reach medical assistance in time. 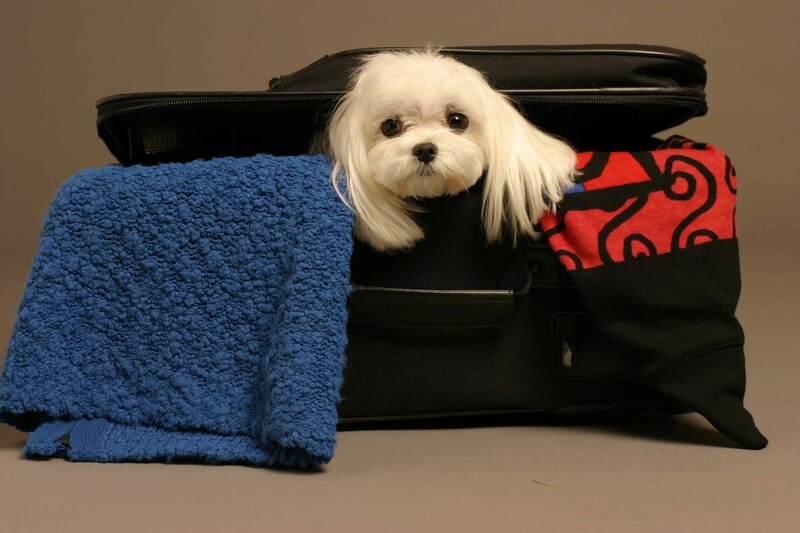 Give your dog at least a week after vaccination before flying. Check out vets on the road at Pets911.com. Keep copies of your vaccination records in a safe place in your home, in all your automobiles and in your dog's travel bag. The records at your vet’s office may or may not be available when needed and you don’t want to have to revaccinate unnecessarily if your dog bites someone or you have to board her unexpectedly. Blood antibody testing provides good evidence that the rabies vaccine persists seven years post vaccination. The French proved, in the early 1990's, that the shot lasted at least five years. The three year shot is only guararteed for three years because that's how long the manufacturer chose to test it. Testing is expensive. Unfortunately, most laws require vaccination every three years and some locales even require annual or biannual vaccination. Renowned veterinary vaccination experts Drs. Jean Dodds and Ronald Schultz (Chair of the Department of Pathobiology at the University of Wisconsin, Madison) are volunteering their time to conduct five and seven year tests to prove how long the vaccine protection lasts and to increase the time between shots. The University is waiving its overhead fee--usually 48% of direct costs. The second phrase of the study will test the safety of the shot’s ingredients and will establish an adverse effects reporting system--something desperately needed. All donations go to the direct costs of the study. Part of the research being conducted by Dr. Schultz is to establish a rabies titer standard for dogs. What is a titer standard? It could mean that previously vaccinated dogs could someday have a blood test to test immunity instead of having to get an additional shot. This is what veterinarians do for their own protection against rabies. They don't vaccinate unless titers are low. Learn more about the vaccine and the study at http://www.rabieschallengefund.org/page4.html. (Recognize my dog Chiclet in the photo?). Click this link to donate. Even a few dollars will help and may someday save your dog's life (and save you a lot in vet bills). Donate $500 or more and Chiclet will send you a signed copy of Chiclet's national award-winning book, Scared Poopless: The Straight Scoop on Dog Care. By the way, the term Challenge Study does NOT challenge the use of the rabies vaccine. It merely describes the type of testing done. Challenge testing is the Gold Standard of testing and is required by the USDA before laws can be changed. Exciting News! All states (but not all towns) now accept the 3-year rabies vaccination protocol. "There have been many developments in state rabies laws across the country in which The Rabies Challenge Fund has had a leading role -- the most recent being Alabama passing a 3 year law this week with medical exemption clause and Rhode Island's Rabies Control Board passing a 3 year protocol with medical exemption. It is official, now all states have adopted the 3 year national standard! Not all have passed the medical exemption. (Massachusetts residents, please support this pending legislation. Contact your Legislators and ask them to pass Senate Bill #784 and ask everyone you know in Massachusetts to do the same. Find Your Legislator by Town http://www.mass.gov/legis/city_town.htm.) "
The Challenge fund is a federally registered 501(c)(3) charitable organization [Fed. EIN # 84-6390682]. This connects you to RabiesChallengeFund.org. Donate $500 or more and we'll send you a signed copy of Scared Poopless to thank you. Don't want to vaccinate? Learn about Titer Testing, the alternative to repeated vaccination. It is not a substitute for rabies vaccination, but is useful for showing immunity for this and other shots. Animal Talk Naturally Podcast Kim Bloomer hosts a great hour-long interview with rabies vaccine experts Dr. Jean Dodds and Kris L. Christine, Rabies Challenge Fund founders. Download the podcast so you can speed forward or back. 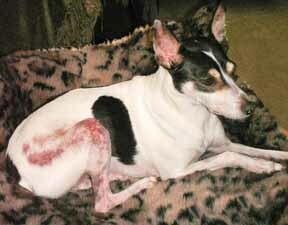 Dogs Adverse Reactions This link goes directly to the vaccine problems page. It has other great pages on drugs that can harm your pets. AAHA 2006 Canine Vaccine Task Force Report The 14-member American Animal Hospital Association Taskforce examined the safety and efficacy of all canine vaccines in 2003 and 2006. They changed vaccination recommendations for vet schools and organizations throughout the US. Follow this link, then click on the small red link: 2006 AAHA Canine Vaccine Guidelines-Revised. Go to page 6. 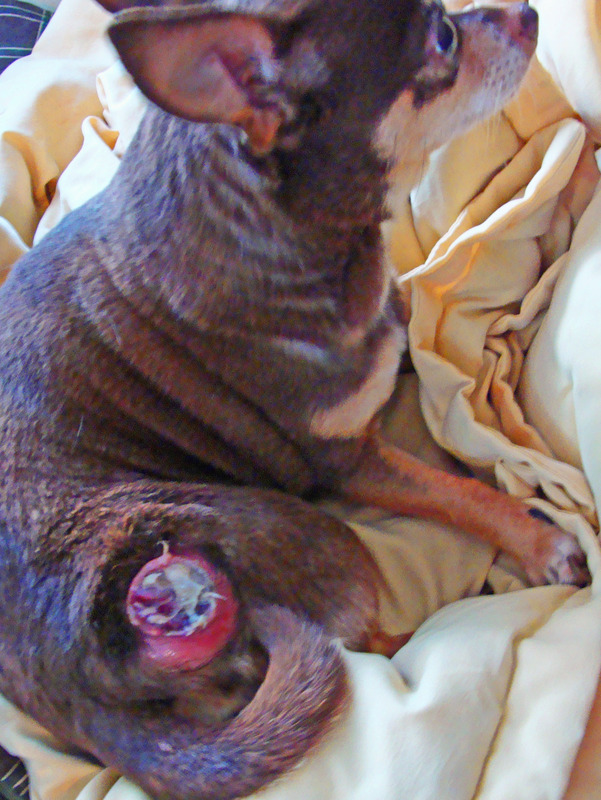 Aimee's Medical Exemption Blog Pamela Picard's blog arguing for rabies medical exemption in Texas and nationwide for sick and senior pets. Read and sign the Safer Vaccines for Companion Animals petition to the U.S. Government, US Governmental Agencies and American Veterinary Medical Association. Help dogs and cats get only the vaccines they absolutely need. ***Unlike the vaccines for parvovirus and distemper, which are made with modified live viruses, the rabies vaccine is made from a killed viruses. Why? Because vaccines have been known to cause the diseases they’re meant to protect against. ***Interestingly, there is a vaccine which can be given pre-exposure directly to humans, but it’s recommended only for people at high risk of infection. Dogs and cats are vaccinated regardless of risk. ***How common is rabies in the US? According to the Journal of the Royal Society of Medicine, there were 4 human cases in 1997, 1 case in 1998, none in 1999, and 5 in 2000 (one was “a patient who had come from Ghana after being bitten by a dog; all the others were thought to be associated with bats.” Bats! Learn the facts about the Rabies Threat to Humans. 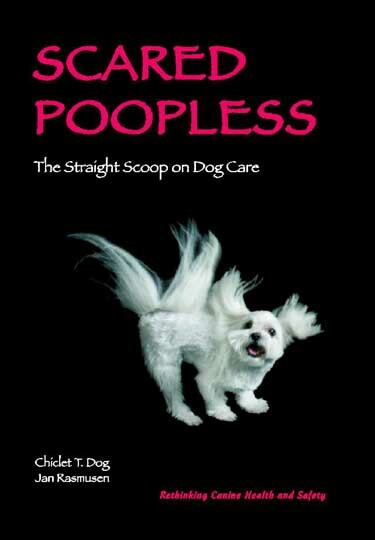 Jan Rasmusen is the award-winning author of Scared Poopless: The Straight Scoop on Dog Care. 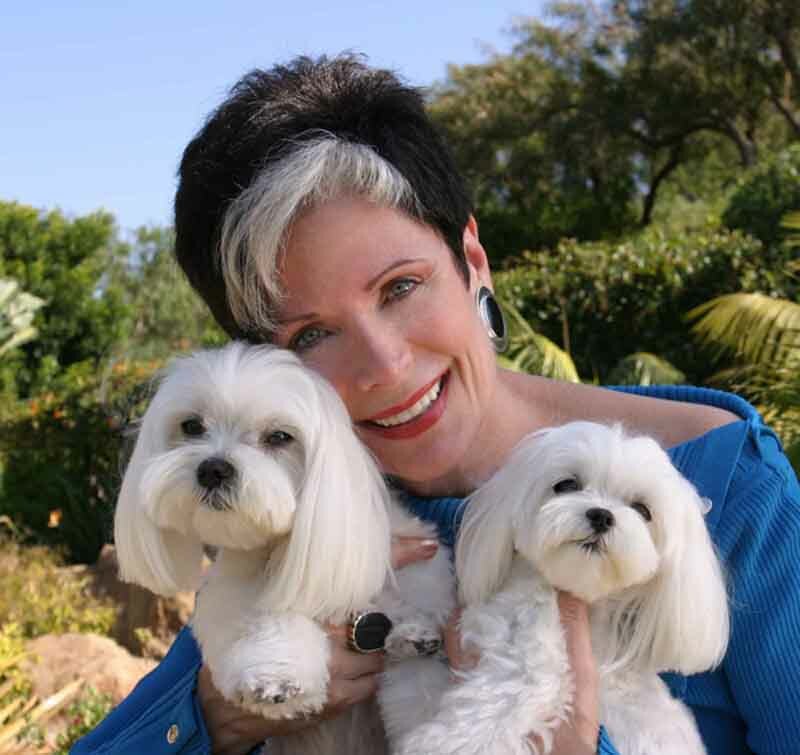 Learn more about her book and sign up for her free newsletter at www.Dogs4Dogs.com. Disclaimer: Jan Rasmusen is not a veterinarian. The information above is provided for information purposes only, and is not intended as a substitute for advice from a qualified health practitioner. Scared Poopless, Truth4Dogs, BLog4Dogs and Dogs4Dogs are trademarks of Jan Rasmusen.